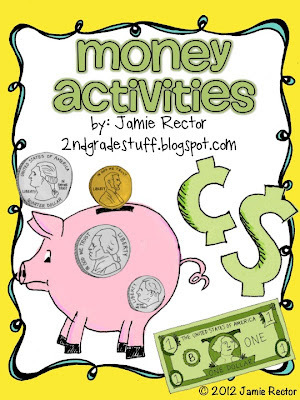 Do you need some fun money activities? I am teaching money right now. After the whole group lesson, we break up into small groups for guided instruction. 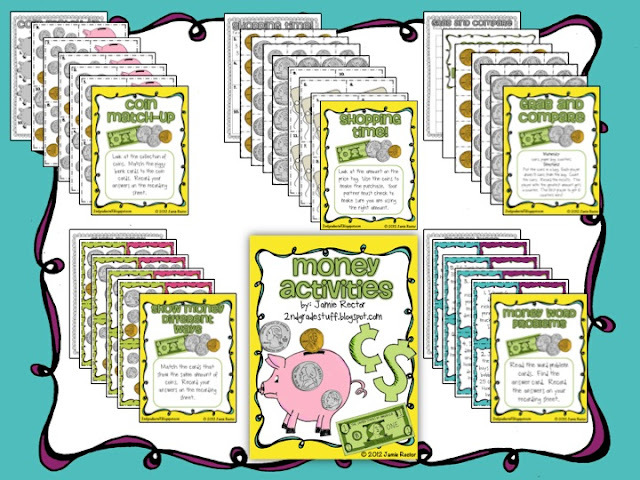 I needed something to keep my kiddos engaged while I was working in small groups, so I designed these math activities/centers for my students to work on when I'm with a small group. I think they're super cute! Click on the picture or Click Here to Download. You can get a sneak peek of what's included in the preview picture below. Do you all teach math this way? I guess it would be a form of guided math. I teach whole-group for 15-20 minutes, then break into small groups where I meet with each group for a set time. This allows for good differentiation of the content AND assessment. How do you teach math? What keeps your kiddos busy and engaged during small group time? Leave me a comment below. Oh my goodness...this looks great! This will definitely be going on my wishlist! I teach math in small groups also! I LOVE it! We use Envision...but this looks great! this is too cute - in my wishlist! I love this!!! This is great!! Definitely want to plan to get this! !